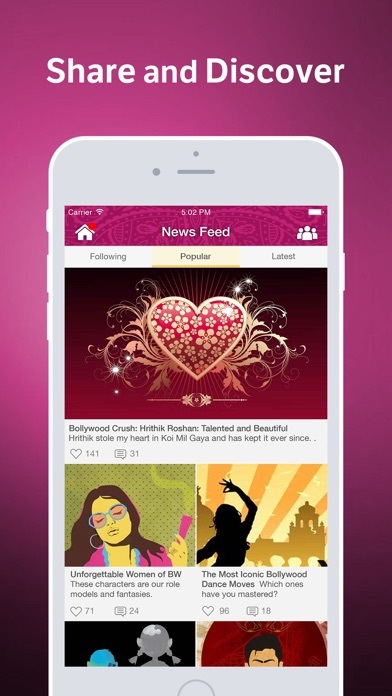 Bollywood Amino is the largest mobile social network for Bollywood fans! - Discuss your favorite movies, shows, actors, actresses, songs, directors, etc. - Discover Bollywood fan art, songs, dances, photos, writing, and costumes. 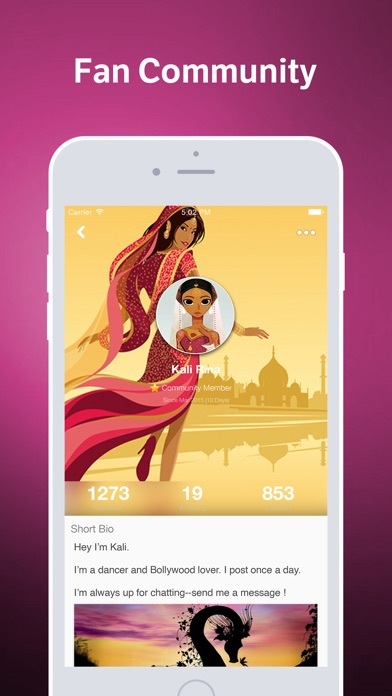 Discover other Bollywood fans nearby and around the world who share your passion for Salman Khan, Deepika Padukone, Shahrukh Kahn, Aamir Khan, and A.R. Rahman. Post and read movie and tv show reviews and recaps, dance and song covers, and join discussions about your favorite movies and celeb gossip. 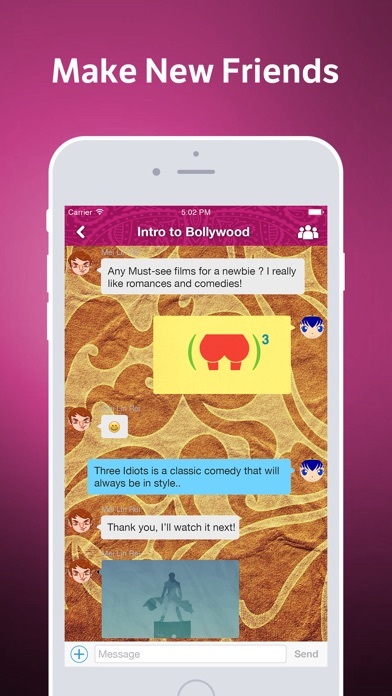 Ask and answer questions on the fly and search for expert answers on everything about Bollywood. If you love Bollywood, Indian and Hindi movies, films from Mumbai, Priyanka Chopra, Kangana Ranaut, Kareena Kapoor, Sonakshi Sinha, Shraddha Kapoor,Huma Qureshi, Nargis Fakhri, Parineeti Chopra, Akshay Kumar, Ranbir Kapoor, Hrithik Roshan, Saif Ali Khan, John Abraham, Sanjay Dutt, Ajay Devgan, PK, Dhoom, Krrish, Ragini MMS, Rajkumar Hirani, Neeraj Pandey, Priyadarshan, Indra Kumar, Rohit Shetty or any other aspect of the Bollywood world, this is the right community for you!